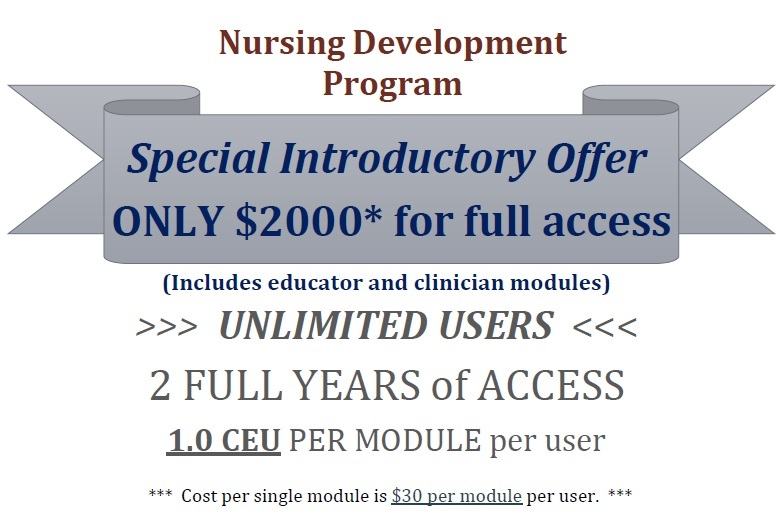 Welcome to the New Jersey Nursing Initiative's Nursing Development Modules. These modules were created to help nursing faculty and clinicians develop skillsets around various hot topics in today's teaching environment. Modules have been developed around the needs expressed by existing faculty and clinicians for providing knowledge as well as tools to enhance nursing faculty and clinical skillsets. 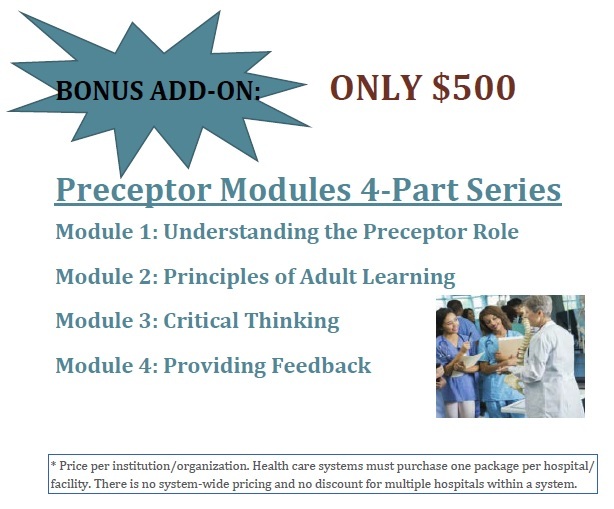 These 30 minute, self-paced modules have been developed with Subject Matter Experts in their respective fields of nursing with a population health perspective. The topics have been selected by the needs expressed from existing nursing faculty and practitioners. The proceeds from this programming will support the work of the New Jersey Action Coalition (NJAC) in “continuing its work to build healthier communities through advancing nursing collaboration and leadership with community non-profit organizations." This activity has been planned and implemented in accordance with the essential areas and policies of the American Nurses Credentialing Center’s Commission on Accreditation and New Jersey State Nurses Association through Health Research and Educational Trust (HRET) of New Jersey Chapter in joint providership with New Jersey Nursing Initiative. HRET is an approved provider of continuing nursing education by the New Jersey State Nurses Association and accredited approver by the American Nurses Credentialing Center’s Commission on Accreditation Number P131-2/18-21. Each individual enduring education module provides 1.0 contact hours for a period of September 1, 2018 – August 31, 2020. This enduring continuing education program is co- sponsored/conducted by the Health Research and Educational Trust and New Jersey Nursing Initiative and is in compliance with N.J.A.C. 8:34-7.3 to provide licensed nursing home administrator (LNHA) and certified assisted living administrator (CALA) education credits accepted by the Nursing Home Administrators Licensing Board. This education activity may only be used for continuing education credit and not to meet academic college credits. This education activity has been approved for 1.0 LNHA/CALA credits. Enduring product date from September 1, 2018 and expires August 31, 2020.